AkzoNobel won’t stop showing its devotion to color, technology and evolution. 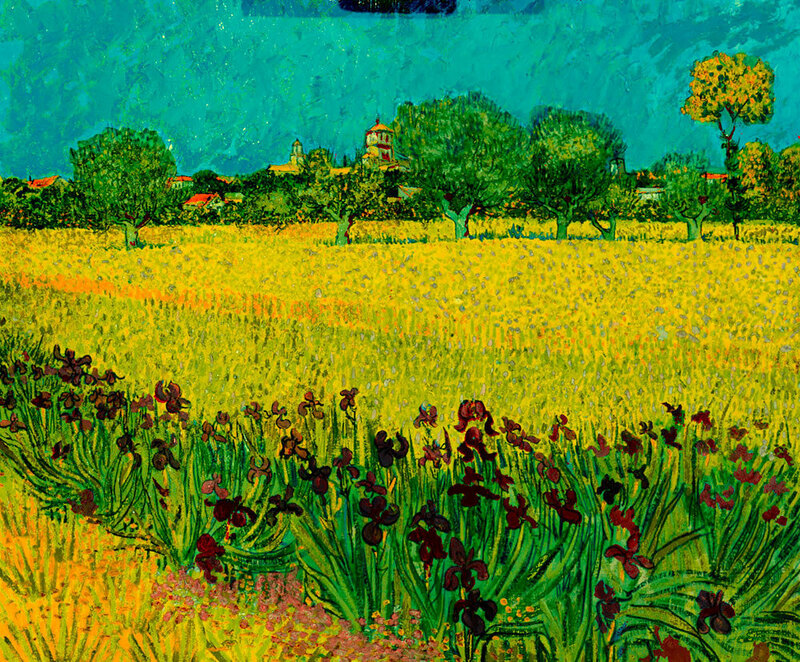 Τhey have released their latest impressive achievement: The digital color recreation of Van Gogh’s masterpiece “Field with Irises near Arles”. The three-year project endeavoured to get as close as possible to reconstructing the original color scheme used by the artist when he first made the painting. Because modern conservation ethics won’t allow new color to be added, a digital version was the only way to recreate the original painting. 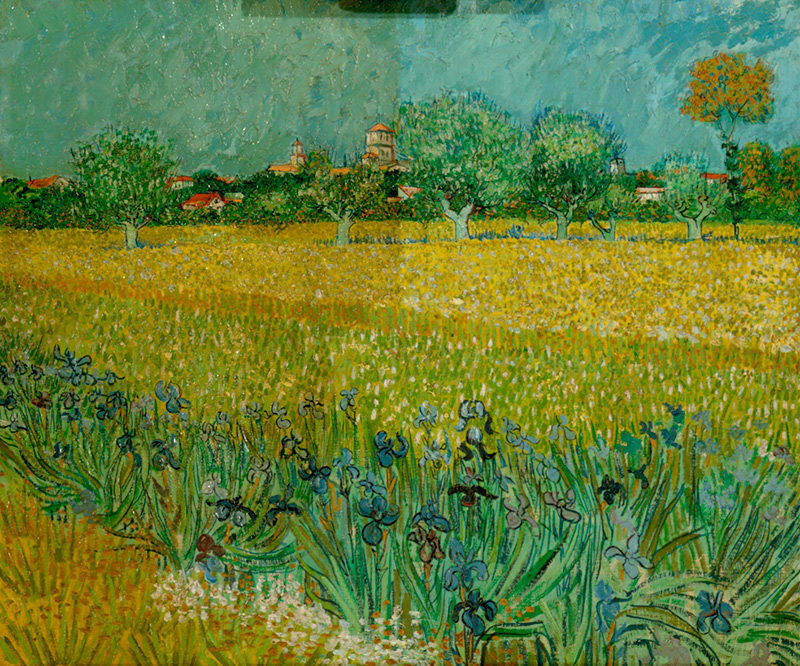 By adopting a fusion of modern technology and classic painting techniques, it has been possible to carry out a digital color recreation of Field with Irises near Arles. Employing expertise from the company’s Color Technology Group – and using technology normally applied in the automotive industry – a diverse team of researchers from various disciplines and institutions has been meticulously analyzing digital images of the painting. Attention to detail has been rigorous throughout the project. It began with the company’s color experts studying digital images to determine the pigment composition of the original – using data supplied by the National Gallery in Washington. After hundreds of hours of painstaking work, they’ve now finished matching Van Gogh’s original palette to produce a digital color reconstruction which provides a better understanding of the brightness of the painting’s original colors. The museum’s former head of conservation, Ella Hendriks, managed to remove consecutively the yellowed varnish layer from the painting itself (applied after Van Gogh’s death). This confirmed that the color predictions were accurate and paved the way for the full digital color recreation. AkzoNobel has been a proud partner of the Van Gogh Museum’s restoration studio since 2013 and not only contributes to the preservation of existing heritage, but also supports the heritage of the future through the collection and exhibition of contemporary visual art in the publicly accessible AkzoNobel Art Space.